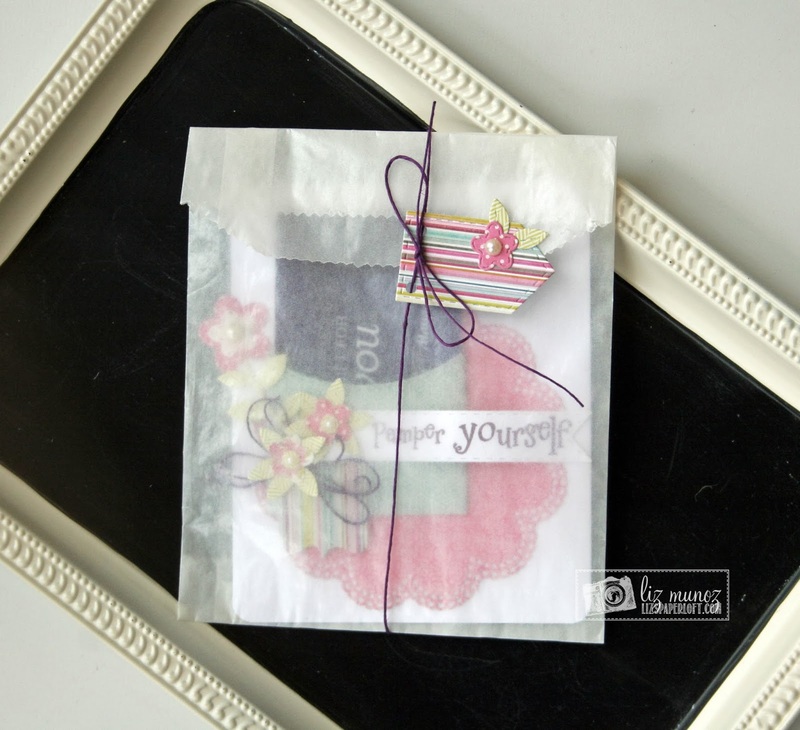 Liz's Paper Loft: MCT February Release Sneak Peek Day 4 ~ Pamper Yourself! 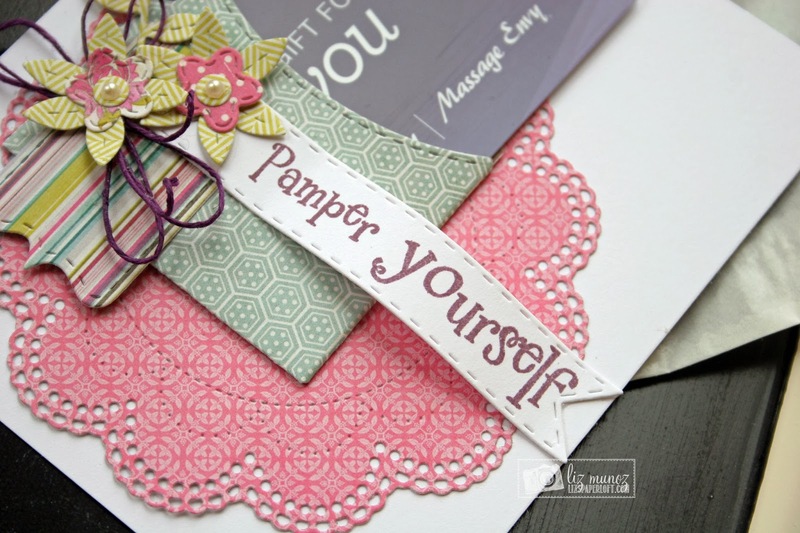 MCT February Release Sneak Peek Day 4 ~ Pamper Yourself! 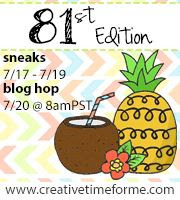 Welcome to the last day of My Creative Time February Release Sneak Peek! Yep, that's right, you only have one more day to wait to purchase any or all :) of this month's release! I'm sure you're going to have a hard time deciding which stamps and dies to get...so, just get them all! lol! 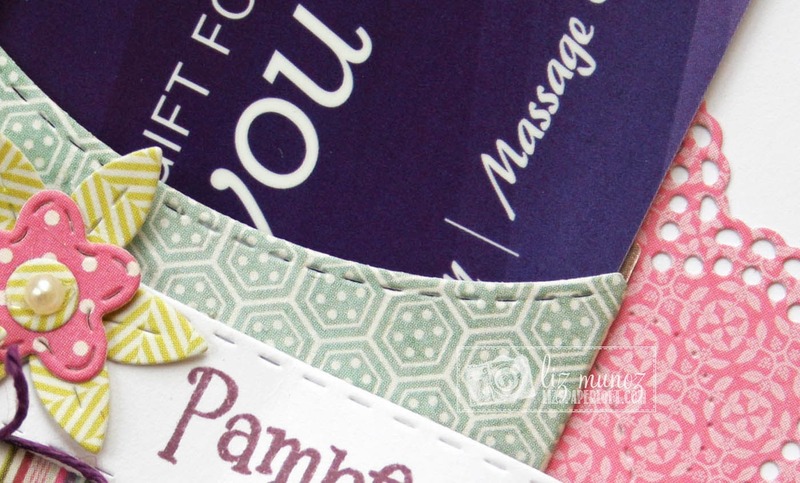 Today I'm featuring Fun Gift Pocket Sentiments Stamps & Tag Gift Card Pocket Die, along with a Pre-Sneak of something to be released next month. Can you see what it is? I cut a 5x6 card and rounded the corners so it would fit nicely in the glassine bag as the envelope/wrapping. Super cute!!! :) I love the spring g colors! And can't wait for the next release either...what great flower dies! Love the colors you have chosen!!! So pretty! 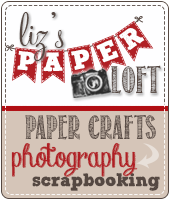 Oh my Liz what a beautiful way to present a gift card now what amazes me how you manged to take this simple idea and turn it into a vintage/shabby chick look of elegance girl you are just so creative and talented you always blow my mind. YOU ROCK!!!!! I can't wait 2 shop 2morrow!! 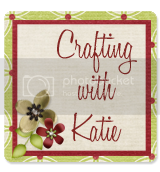 Awesome TFS this new gift card holder die is fabulous!!!! 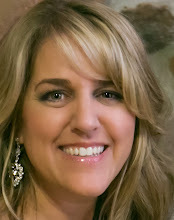 So gorgeous and feminine, Liz! Who wouldn't want to receive such a beautifully presented gift? Perfect touches right down to the packaging! So sweet - love the flowers. Too cute! I love this card and love how you created it in a unique shape to fit in the bag! Love it! This is so beautiful!!! 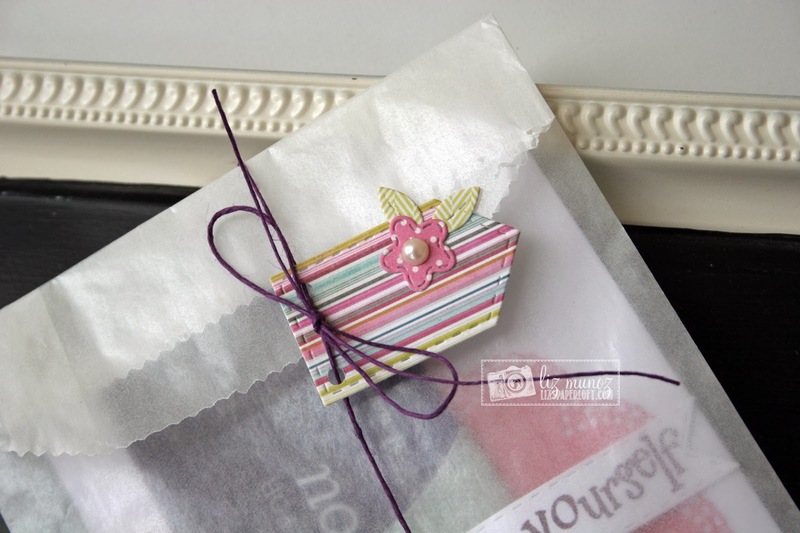 Great idea for the envelope and your card is so pretty!! I love it!! Hugs!! This card is beautiful. Love it paired with the glassine bag. Gorgeous!!! I love it! The velum envelope makes such a nice add to detail!! 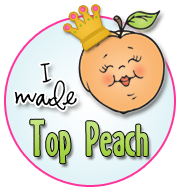 Thanks for sharing your talents with us! What a beautiful way to share such an adorable card. This little pocket is going to be so fun! Beautiful card Liz. I love that you used the bag for the envelope. Oh Liz ~ do you ever stop creating such GORGEOUS and PERFECT creations!! Well I LOVE this release and TOTALLY LOVE the next one too and you are surely highlighting them BEAUTIFULLY too! So very pretty. I love how nice that doily looks on everything! Your card is beautiful and I love the way you did the flowers...something to look forward to. Super pretty job! So pretty with the doily. What a fun project today Liz! I love the awesome colors! The flowers are so pretty along with that fun little pocket! What a great die and stamp set today! 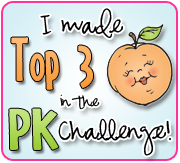 Wow, so many decision, lol I am loving it all:) Thanks for a wonderful week of inspiration! Wow, that is gorgeous. I love the idea of putting it in the clear bag. What a pretty gift. Beautiful gift card holder Liz! 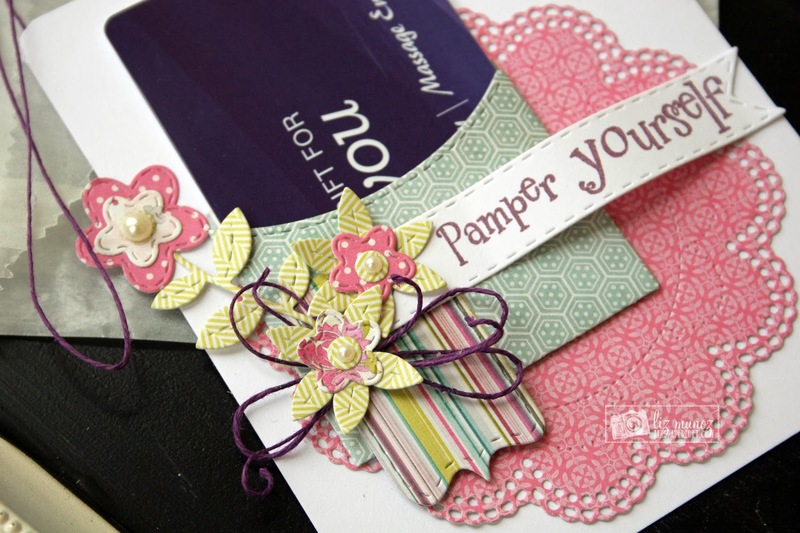 Love the colors you choose and the MCT doily die! Love the creations! Can't wait for the release! This is so pretty!! I love the soft feminine colors. How Pretty with all the details and sweet doily. Super cute idea:) I can't wait for the release on Friday, and also March's release, those flowers are so cute:) Thanks for sharing! How lovely - the sneak peak for next month must be those pretty flowers. Very cute! I especially love the bingo card! Thanks for sharing! Love this card and the gift card being on the outside. This is gorgeous Liz!!!! I just LOVE the papers you used and how this fits inside the bag!